wiss speciality chemicals supplier Clariant has raised its 2011 sales and margin targets, with a sales growth in the high single-digit range compared to 2010 and an EBITDA margin between 13.5-14.5%. For 2015, Clariant is targeting sales above CHF10 billion and an EBITDA margin before exceptional items above 17%. 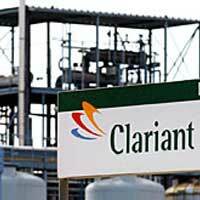 CEO Hariolf Kottmann commented, "With the beginning of 2011, Clariant has switched from restructuring to growth. Our well-positioned traditional businesses have further potential to improve their performance while the newly to be integrated Süd-Chemie businesses will drive higher sales growth and help to improve our margins. Applying our value-based performance management approach, we are confident to achieve our mid-term targets until 2015, using both organic growth and portfolio management." Clariant also reconfirmed its policy of paying a stable dividend going forward, with the intention to resume dividend payments for the full year in 2011.